The City of Chandler has seen great growth in both population and culture, becoming one of the nation’s fastest growing communities. From a small agricultural town, Chandler has transformed into the “High Tech Oasis in the Silicon Desert” of today. Chandler is a city that takes pride in its many recreational parks, facilities and programs designed in mind to attract and keep residents involved, informed, and with plenty to do. This diverse and vibrant community has become a sought after location for families as well individuals. 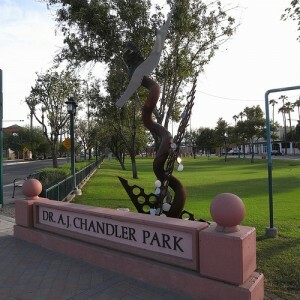 The City of Chandler is served by many school districts, as well as several charter and private schools. See our complete resource guide to Chandler Schools and Information.